A very nice designed bounce Castle with a basketball hoop inside. Plus climb the ladder and slide down the camo slide. 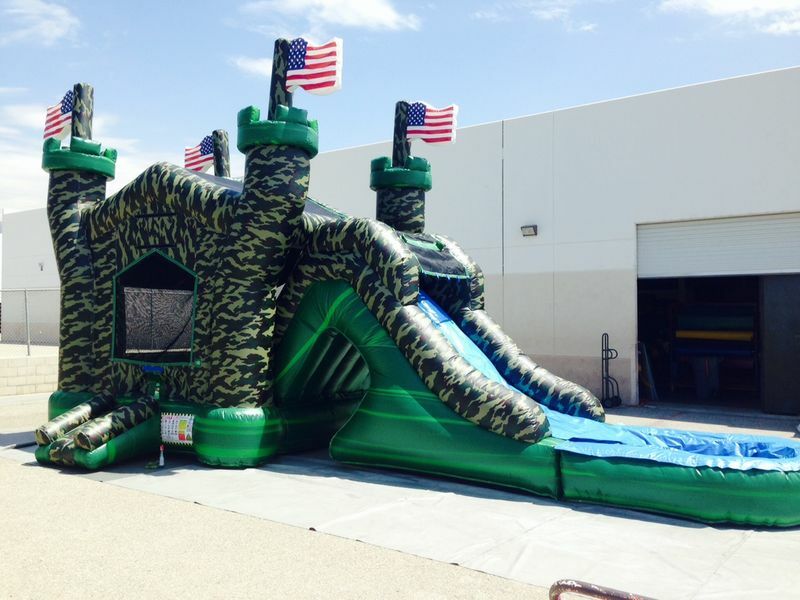 This Castle was custom designed for Show It Off, LLC! This Inflatable does not have a pool on it, instead it has a stopper piece since it is to be used dry!